In addition to excellent spas and golf resorts, Scottsdale is famous for its beautiful desert scenery, art galleries, diverse museums, performing arts and great restaurants. 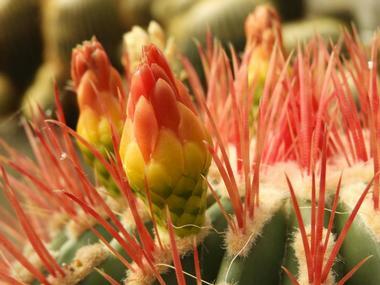 Stroll through the Scottsdale Xeriscape Garden at Chaparral Park to view over 7,000 plants, visit The Western Spirit: Scottsdale’s Museum of the West, or take a chocolate tour of the city. 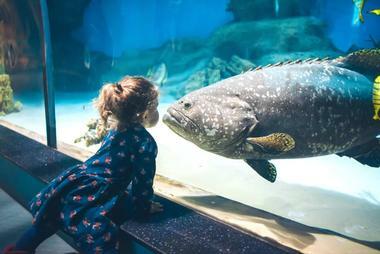 Best things to do in Scottsdale, Arizona, with kids include Butterfly Wonderland, McCormick-Stillman Railroad Park and Southwest Wildlife Conservation Center. Nestled in the heart of the Salt River Pima-Maricopa Indian Community, Butterfly Wonderland is a state-of-the-art facility that houses a tropical rainforest, which is home to thousands of butterflies from around the world. The facility also features several galleries with interactive insect exhibits, a modern theater that screens educational movies such as Flight of the Butterflies, and educational laboratories for community-based workshops and nature programs. Butterfly Wonderland is one of the top Scottsdale attractions. A family-friendly gift shop is the perfect place to find a memento, while a cozy café serves light meals, snacks, and beverages throughout the day. 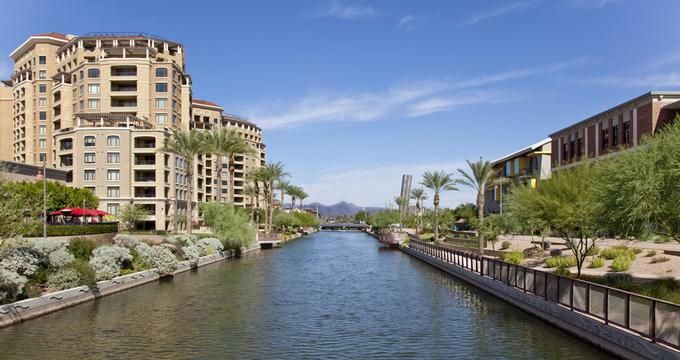 Get a taste of what Scottsdale has to offer with a visit to the city’s Downtown area. This historic corner of the city is packed with an array of souvenir shops, fashion boutiques, award-winning restaurants, vibrant bars, and other forms of entertainment, all within easy walking distance of one another. 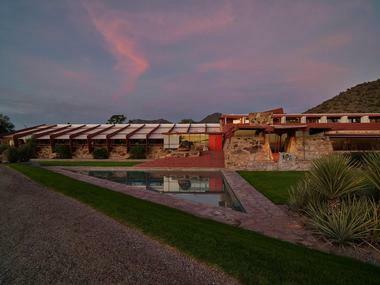 Explore great art galleries on fun-filled and informative Art Walks held every Thursday evening, visit Scottsdale’s most celebrated public artworks by taking an easy hour’s walk through downtown, or learn about the history of the region on a self-guided walking tour, taking in the Little Red Schoolhouse, the Rusty Spur Saloon, and Cavalliere’s Blacksmith Shop. If you are wondering what to do in Scottsdale today, this is a great place to start exploring. The Scottsdale Museum of Contemporary Art presents an outstanding collection of contemporary art, architecture, and examples of design from around the world. Situated on a beautifully landscaped park in the middle of downtown Scottsdale, the museum offers nine to twelve rotating exhibitions per year that keep visitors on trend with what is happening in the world of art, architecture, and design. The museum also provides exciting programming in the genres of music, dance, performance, literature, and film, as well as educational opportunities and learning experiences in the form of workshops, classes and lectures, arts activities, guided tours, and slide presentations for all ages. The McDowell Sonoran Preserve is the gateway to the Sonoran Desert and features one of the most diverse environments on earth. Spanning over 30,000 acres and unfurling along the eastern edge of the city, the McDowell Sonoran Preserve has more than 100 miles of trails and no less than six trailheads to explore and enjoy. Visitors to the Preserve can enjoy an array of outdoor activities, including hiking, mountain biking, wildlife and bird watching, and guided rock climbing and off-roading tours. Each of the six trailheads provides expansive views of Pinnacle Peak and the Valley, and the Bajada Nature Trail offers a variety of games and activities en route for children of all ages. 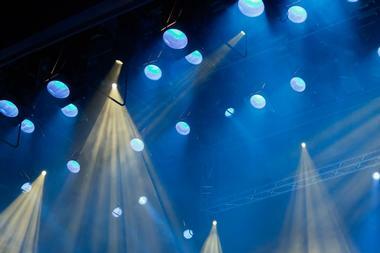 The Scottsdale Center for the Performing Arts is one of the premier performing-arts halls in the country that showcases a diverse range of theater, music, dance, comedy, and film from around the globe. Designed by Arizona architect Bennie Gonzales, the 1975 adobe-inspired building is the base for hundreds of events that entertain and inspire audiences on an annual basis, from live performances and educational programs to major festivals and community celebrations. The center also features artistic displays, including a radiant glass sculpture by Kana Tanaka entitled Spirit of Camelback, and it is the setting for the award-winning Scottsdale Arts Festival. 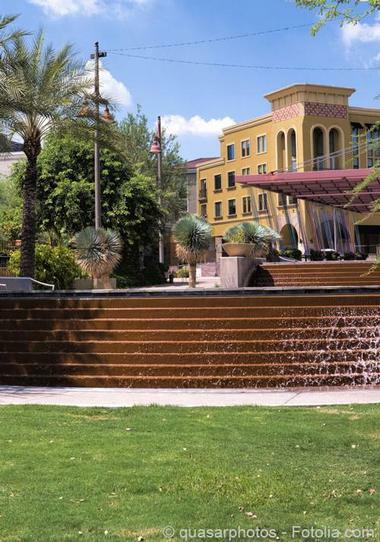 Located in the heart of the city’s artistic district, the center is a short walk from Scottsdale’s Old Town and vibrant gallery areas. More Arizona destinations: 23 Best Things to Do in Mesa. 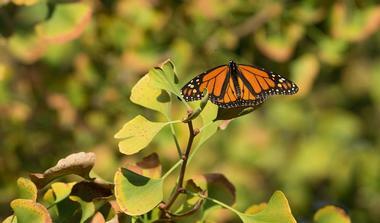 The Scottsdale Xeriscape Garden at Chaparral Park is a National Wildlife Federation Certified Wildlife Habitat that features over 7,000 plants and 200 species. Fed by a vast underwater reservoir, the expansive 5.5-acre garden was established to protect and preserve regional plant species and provide an educational resource to raise awareness about local plant species and sustainable landscaping using reduced water usage. Visitors to the garden can move around easily, following clear signage and an interactive plant guide that highlights the facts about the low-water-use plants and trees and water harvesting. The guide also gives excellent tips for caring for desert landscapes. McCormick-Stillman Railroad Park is a unique railroad park dedicated to displaying the history of the railroad. Located on the corner of Scottsdale and Indian Bend Roads, the park is home to a one-of-a-kind Model Railroad Building that spans 10,000 square feet and houses a 15 in (381 mm) gauge railroad, four model railroad clubs, and a Magma Arizona Railroad locomotive. 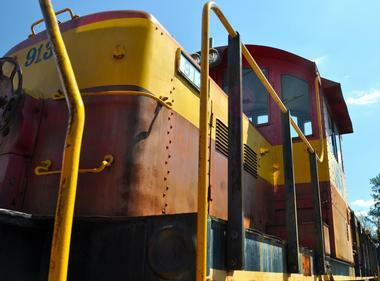 An interactive railroad museum boasts a variety of objects and artifacts related to the railroad industry along with an array of exhibits, including the Roald Amundsen Pullman Car, the Merci Train, and the Model Railroad. The park features several playground and picnic areas in which to relax with the family, and visitors of all ages are welcome to enjoy a charming antique carousel. Southwest Wildlife Conservation Center rescues and rehabilitates injured wildlife and releases them back into the wild, and it provides a sanctuary for orphaned animals native to Arizona. The center also provides education on the importance of nature and wildlife, as well as the role they play in our world. 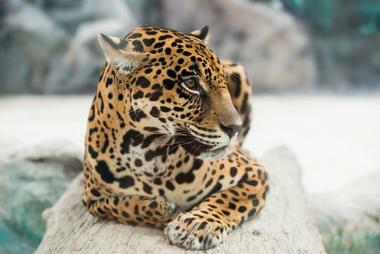 The center is home to a range of animals, including black bears, bobcats, coyotes, jaguars, mountain lions, Mexican grey wolves, and porcupines, among others. Visitors to the center can enjoy Walk with Wildlife tours through the facility and learn more about these fascinating animals. The center hosts a number of onsite educational programs, including Walk with Wildlife, Sunrise Nature Tour, Full Moon Tour, and Discovery Day, as well as several community-based outreach programs like PAWS. More places to visit: Best Things to Do in Sedona, Arizona. Located in the historic 1909 Little Red Schoolhouse, the Scottsdale Historical Museum chronicles the history and cultural heritage of Scottsdale and the Southwest through a fantastic collection of photographs, artifacts, exhibits, and displays. Permanent exhibits in the museum include The One Room Schoolhouse, which shows how a one-room school might for eight grade levels have looked in the 1800s through the 1900s and the Winfield Scott Exhibit, as well as a variety of changing exhibits related to the history of the region. 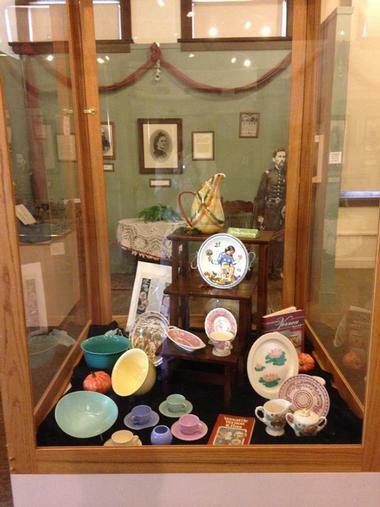 The Scottsdale Historical Museum is open Wednesday through Sunday, and group tours and guest speakers are available and can be booked in advance. More ideas: 25 Best Things to Do in Tucson. Western Spirit: Scottsdale’s Museum of the West celebrates and showcases the history of the West and everything related to it, including its heritage, cultures, and varying environments. The museum was established to explore the challenges of the modern world through looking back at history and learning from past achievements. 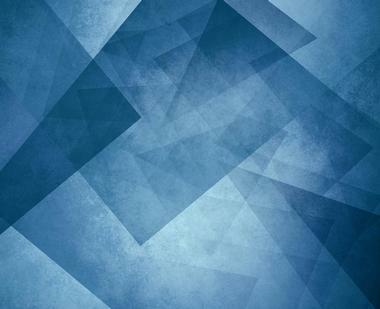 It accomplishes this goal by providing a range of interpretive artworks, interactive experiences, and exciting events. 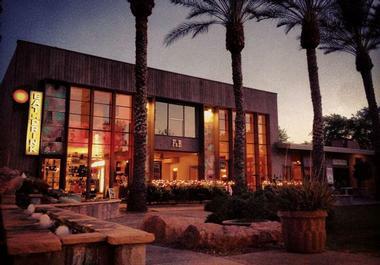 Located in Downtown Scottsdale, the Museum of the West features galleries housing permanent and traveling exhibitions; a one-of-a-kind, multi-sensory, and multimedia theater/auditorium that showcases the work of Western artists through a variety of performances and shows; and an intimate Sculpture Courtyard where visitors can relax, refresh, and reflect on an ever-changing array of sculptural exhibits amongst exotic desert surroundings. 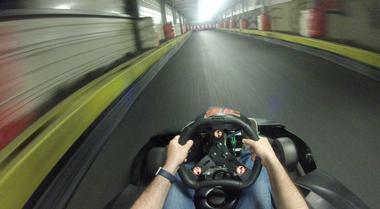 Octane Raceway is full-time indoor/outdoor racing venue that offers casual and competitive kart racing for all ages. A Scottsdale entertainment landmark and popular tourist attraction, Octane Raceway features a third-mile track, which winds indoors and outdoors and has European electric race karts that travel up to 45 mph with zero emissions. Visitors can simply walk in, register, and race, and their race is scored in a Fastest Lap format – the driver with the best lap time wins the race. Octane Raceway also caters private and special events such as corporate and team building events and birthday parties, and it has features such as private event rooms, a Trackside Bar & Grill, and several other entertainment facilities, including a Pit Crew Challenge, bowling alley, a games arcade, and billiards. The two-level Dominick’s Steakhouse located in Scottsdale Quarter is a popular destination for celebrations, romantic dinners, and other special events. This upscale white tablecloth restaurant has a lovely, quirky rooftop poolside dining room that is open to the sky as well as several smaller rooms for private events. Dominic’s focus is on prime steaks, fresh seafood, and classic Italian dishes. Start your meal with appetizers such as fresh burrata, a king crab and avocado stack, or a selection from the raw bar – giant shrimp cocktail, Hawaiian poke, or fresh oysters. The stars of the menu are the top-grade domestic wagyu and USDA Prime Grade Beef served with double baked truffle potato, asparagus fries, and roasted Brussels sprouts. Dominic’s has an extensive wine selection with Californian and Old World wines. 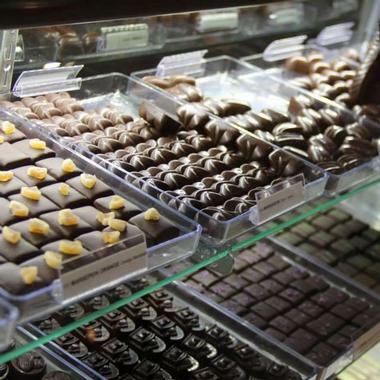 Explore the sweet side of Scottsdale on a guided walking tour that visits all the town’s best chocolate destinations. These “chocolicious” tours head to a variety of chocolatiers and local shops throughout the Downtown area where chocolate-lovers will have the opportunity to learn about the history of this confectionary and how the products are made and sample varieties of the world’s most popular treat. 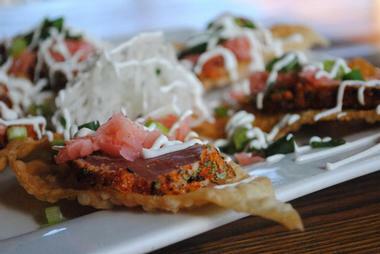 FnB in the heart of downtown Scottsdale is nationally acclaimed for its inspirational menus. Nestled in the charming Craftsman Court, FnB is owned by celebrated Chef Charleen Badman and Beverage Director Pavle Milic, who combine a globally-inspired and seasonal food menu with highly prized Arizona and unusual out-of-state wines to create an exceptional dining experience. Ingredients are sourced from local farmers, producers, and winemakers, and can be purchased at the sister stores of Bodega Market and Red Goat Wine, a cozy neighborhood grocery and specialty market located immediately adjacent to the restaurant. 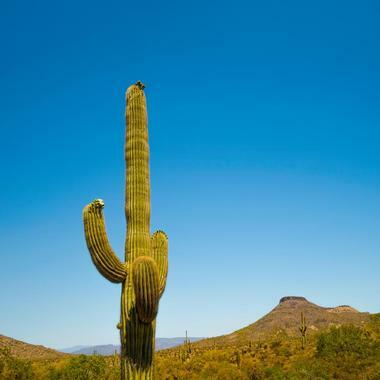 More Arizona destinations: Best Things to Do in Phoenix. 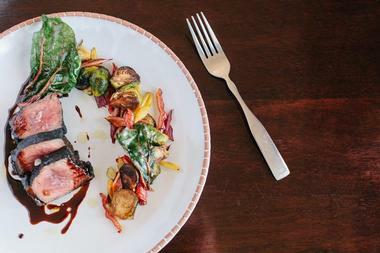 Virtù is a stylish eatery nestled in the charming Bespoke Inn bed and breakfast of Scottsdale’s Old Town. 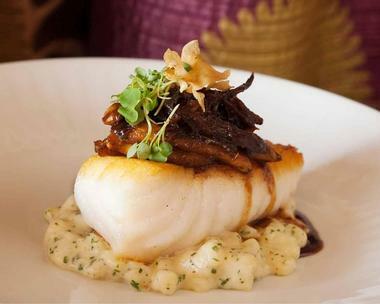 The restaurant is owned by Chef Gio Osso, whose Mediterranean family roots shine through in his creative menus. The seasonal, globally influenced menu features a variety of freshly caught seafood, locally sourced meat and dairy products, homegrown vegetables, salads and herbs, and handmade pasta. Featuring quaint and elegant surroundings of the boutique Bespoke Inn, Virtù treats hotel guests and visitors to a luxurious dining experience paired with signature cocktails crafted with fresh-pressed juices and unique spirits and an impressive list of vintage wines. Book the Bespoke Inn’s upstairs Signature Flat and enjoy a special Personal Chef Dinner complete with drop chandeliers, fresh flowers, and soft candlelight. The Old Town Scottsdale Farmers Market is a vibrant local market situated on Brown Avenue that features a variety of locally grown produce and specialty foods. 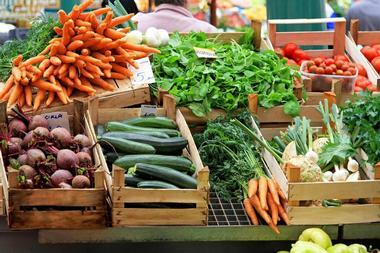 The market offers a broad range of farm produce from organic and pesticide-free vegetables, fruit, and herbs to natural beef, pork, chicken, and free-range eggs, milk, and local cheeses. Freshly baked bread and other goods are available, including Amish friendship bread, artisan bread, and homemade muffins, cakes, and pies, as well as handmade jams, piccalillis, and tamales. The family-friendly market also offers fun-filled, food-related events throughout the season, including the Edible Education Series where cooks and chefs share their tips, tricks, and techniques for inspired cooking. Boasting breathtaking views of Pinnacle Peak, Talavera is a classic steakhouse with elegant décor, a warm and welcoming atmosphere, and first-class service. Located in North Scottsdale among the foothills of Pinnacle Peak, Talavera serves a traditional steakhouse menu of locally and regionally sourced cuisine that features steak and seafood pairings, fresh garden salads, specialty sides, and homemade desserts. Dine on cold beef carpaccio, warm lobster bisque, rib-eye steaks, or surf-and-turf specials from the a la carte menu or enjoy a six-course tasting menu paired with appropriate wines, courtesy of Executive Chef Mel Mecinas, while taking in the beautiful views. Inside, a roaring fireplace creates a cozy ambiance while a wide patio is atheperfect place to sip cocktails at sunset during the summer months. Hula's Modern Tiki is a stylish take on the classic tiki restaurants and bars of the 50s and 60s. Situated in a newly renovated building on First Avenue in the heart of Scottsdale, Hula's Modern Tiki is locally owned and operated as a gathering place for community members to meet, greet, and eat. The menu boasts fresh delights from the sea such as the Blackened Fish Sandwich with sweet potato fries, which comes highly recommended, as well as Hawaiian lobster bisque and shrimp tacos. Meat-lovers will delight in the Traditional Kalbi Ribs (soy-marinated Korean short ribs) and Teriyaki Ribeye Steak, which are firm favorites. Grab a quick lunch on the run or lounge in style on the tropical-inspired patio as you sip cocktails and watch the world go by before tucking into a memorable dinner. 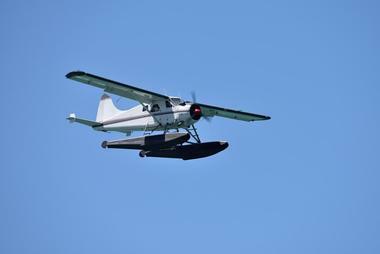 Desert Splash Adventures offers scenic flights over the Sonoran Desert, Roosevelt Lake, and Lake Powell. Operated by Island Air Express, Desert Splash Adventures provides discerning guests with an exclusive and unique desert adventure ex-perience from the comfortable cockpit of a Cessna Caravan Amphibious Seaplane. Highly experienced commercial bush pilots, who are based in Alaska in the off season, fly the planes, and they guarantee absolute safety throughout the journey. Conveniently located near the Scottsdale Airport, an executive lounge provides a luxurious space to relax before the flight, which takes you over some of Arizona’s most dramatic, breathtaking landscapes, ending in an exhilarating water landing on Roosevelt Lake or Lake Powell. Desert Splash Adventures also offers a range of other adventures ranging from gourmet brunches on a private island to canyoneering in the magnificent rock formations of the Sonoran wilderness. Modern Asian influences meet American comfort in Ling and Louie’s Asian Bar and Grill. 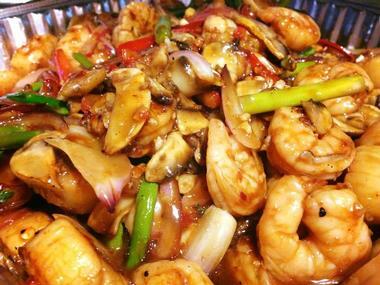 Owned by partners Ling and Louie, the celebrated restaurant boasts six locations across the country, offering a comprehensive menu of traditional Asian-American fare for lunch and dinner. From Hand-wrapped Pot Stickers and Loaded Nachos for starters to New Wave Pad Thai and Ling’s Meatloaf for entrées, Ling and Louie’s has it all, whether you feel like East or West. Sip signature cocktails and handcrafted mules or choose from a range of spirits, wine, and beer to go with your meal or enjoy a special menu and drinks specials during Happy Hour. Rancho Pinot is a casual restaurant owned by Chef Chrysa Robertson, who shares her rich Northern Italian heritage and passion for food with diners through her creative and seasonally inspired cooking. Dedicated to using only the freshest and locally sourced ingredients to support her local community, Chef Robertson delivers a menu of polished American comfort fare, including dishes such as stuffed squash bottoms and grilled quail, pan-roasted fish, and grilled lamb chops and homemade pannacotta. An exceptional wine list features whites, reds, and sparkling wines from around the world to partner with every meal. Diners are served in a casual, laid-back style with friendly service in a comfortable, home-away-from-home setting, making dinner at Rancho Pinot a memorable experience. With plain old vanilla and chocolate being such popular ice cream flavors, it is interesting that small artisanal creameries like Sweet Republic keep competing to see who will make the most outrageous flavor. 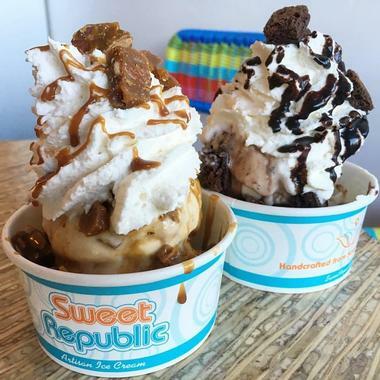 Sweet Republic is way ahead with flavors like chocolate orange with Sichuan peppercorn, sweet corn, and honey blue cheese. Which begs the question: Does anyone actually order it? The answer is yes, and then they come back for their regular scoop of vanilla or chocolate, but they love telling their friends about it. Whatever the flavor, Sweet Republic makes their deliciousindulgences from totally natural ingredients, made every day in-store in small batches from milk and cream from Arizona dairy cows. 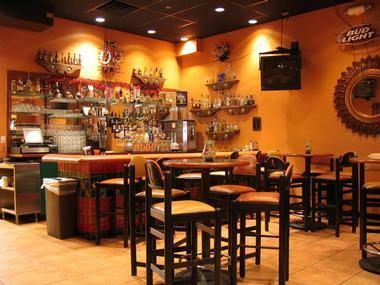 Family owned and operated for over 15 years, Jalapeño Inferno is North Scottsdale neighborhood favorite Mexican-Southwestern restaurant known for their incredibly popular extra fluffy flour and corn tortilla chips & salsa as well as their original, creative margaritas. The warm atmosphere and colorful original art on the walls create a wonderful background for a pleasant meal with family or friends. The menu is large and has all the traditional Mexican favorites, so there is something for everyone: the Tacos al Carbon, Cast Iron Skillet Chicken, or Spinach Enchiladas. To stay true to their name, Jalapeno Inferno has several hot dishes with hatch chiles. There are plenty of drinks to choose from to wash down your hot and spicy treats – a large number of imaginative margaritas, a great selection of tequilas, and cold beers on tap and in bottles. They now have another location in North Scottsdale. 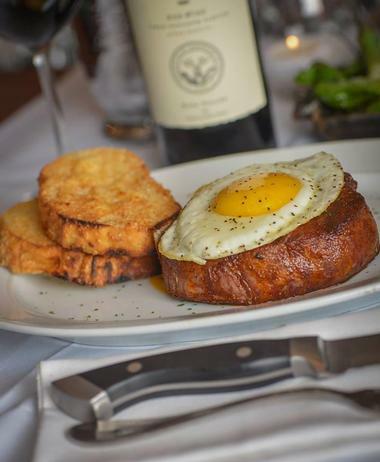 Located in Old Town Scottsdale, the Upton is a modern eatery with a globally-inspired menu that serves brunch and dinner. Using locally sourced and seasonal ingredients, Chef Chris Schlattman creates a fusion of classic and contemporary pop culture cuisine. Meals can be accompanied by handcrafted cocktails and boutique wines, and everything is presented in a stylish and inviting environment. Menu favorites include Chinese char siu ribs served with smoked peanuts and cilantro pesto and the Wagyu bone marrow with whipped foie gras paté. An intimate outdoor sanctuary serves as the perfect place for a romantic dinner for two under a starry night sky.